We offer free local shuttle service for our valued customers. 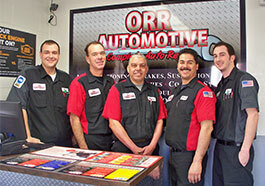 Get your vehicle repaired while at work or sitting in the comfort of your own home! We'll drop you off at the destination of your choice and pick you up when your vehicle is ready. Call for details (909) 625-8963.